Over the weekend, I popped into Walmart to pick up that retailer’s exclusive Collectible Gift Set Blu-ray edition of ‘Interstellar’. The store had an extra copy on the shelf, and I thought that would make a great contest prize for our readers. Don’t you agree? Let’s give this thing away! In Christopher Nolan’s sci-fi blockbuster ‘Interstellar‘, astronaut Matthew McConaughey jets off across the galaxy to find another habitable planet for humanity. The Walmart-exclusive Collectible Gift Set packages the Blu-ray (as well as a DVD and an UltraViolet code) in a sleek NEO Pack case with an IMAX film cell from the movie and a photo book. It’s much nicer than the standard keepcase packaging you’ll find at other retailers. We have one copy of the Blu-ray to give away. The winner will be chosen at our own subjective discretion based on whichever responses we enjoy the most. Entries are limited to 10 per person. That should give you plenty of opportunity to craft a good submission, but will also help us to avoid any potential appearance of awarding prizes based on volume rather than quality. (Please heed this limit. You will be taken out of consideration if you submit more than 10 entries.) All entries must be submitted in the Comments section of this blog post. Please do not attempt to email them to me. The deadline for entry is end of day on Wednesday, April 8th. The winners will be announced the following week. Good luck! How about a little role-play – I’ll play an astronaut farmer, and you play the role of a boy. So they keep getting older, and I stay the same age? All right, all right all right! 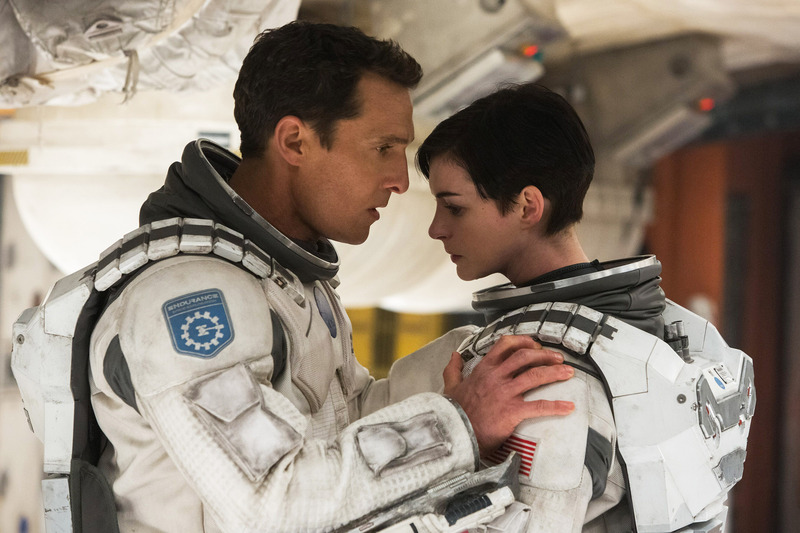 (1) McConaughey – *whispering* I don’t really understand what is supposed to be happening in this scene. Keep your hair short like that. Carcosa ‘ll think you’re a boy and leave you alone. Sometimes you gotta go back to actually move forward. And I don’t mean going back to reminisce or chase ghosts. I mean go back to see where you came from. So, you wanna do that thing with the animal crackers from Armageddon? You’re telling me you had to stand this close to the camera in Les Mis? My daughter keeps getting older and I keep staying the same age, alright alright alright. Matt: Just remember, all of this has happened before and it will all happen again. Anne: What the **** are you talking about?